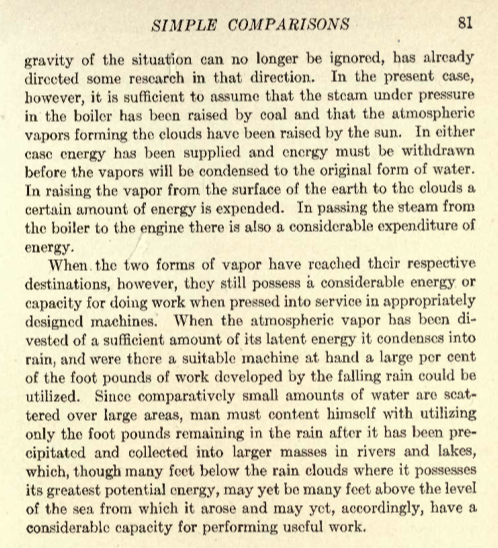 The following are several pages taken from the above mentioned book. 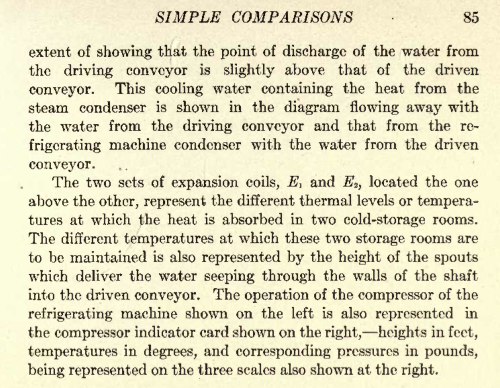 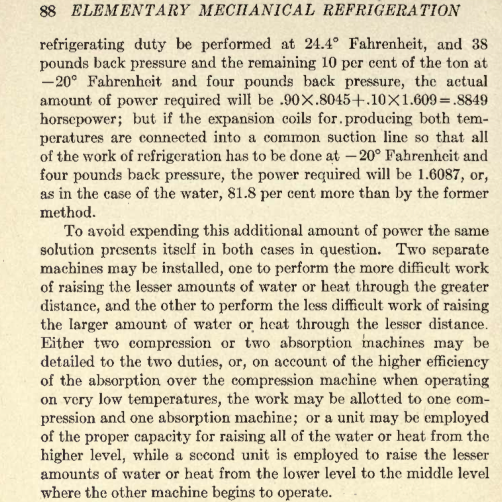 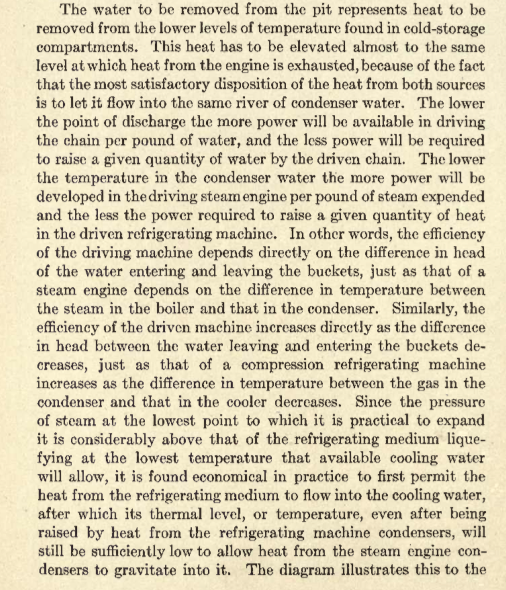 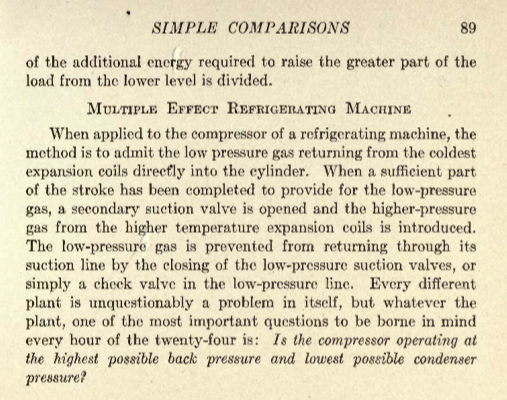 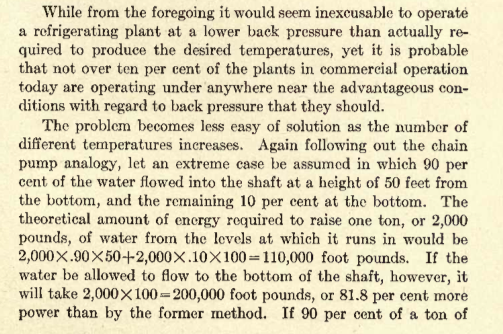 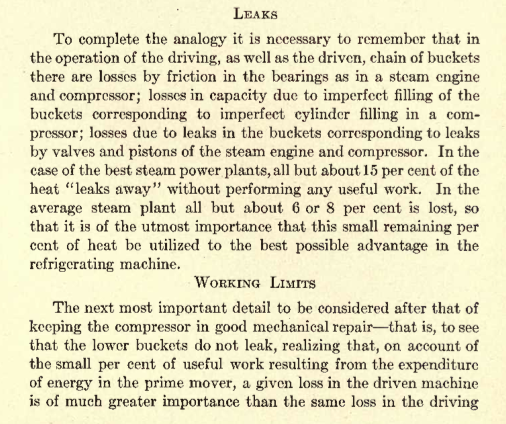 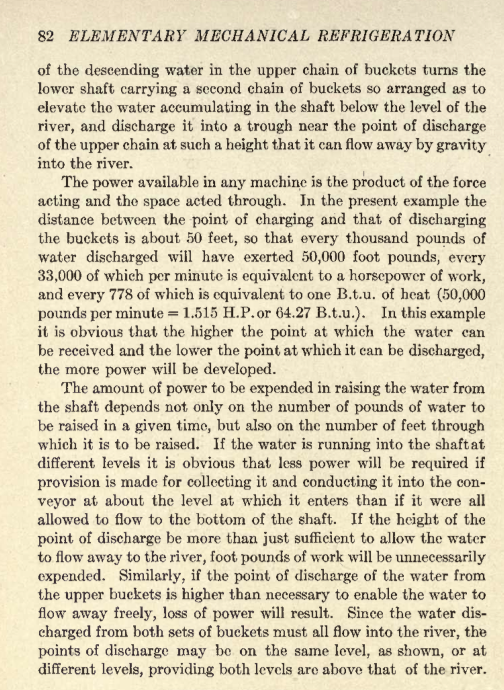 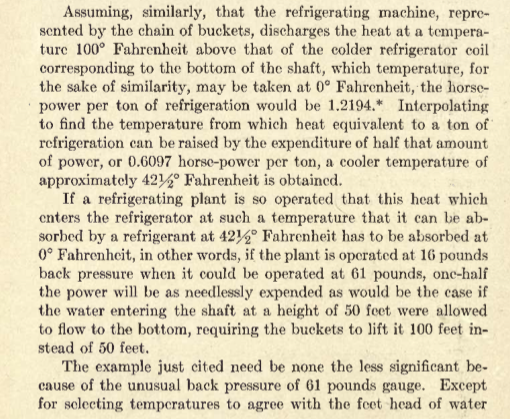 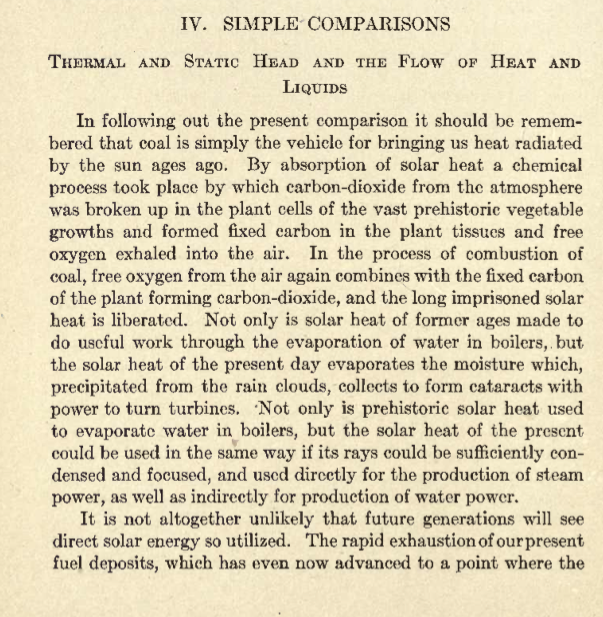 A similar explanation is more or less copied in “Power’s Principles of Refrigeration” of which I have a 1921 copy. 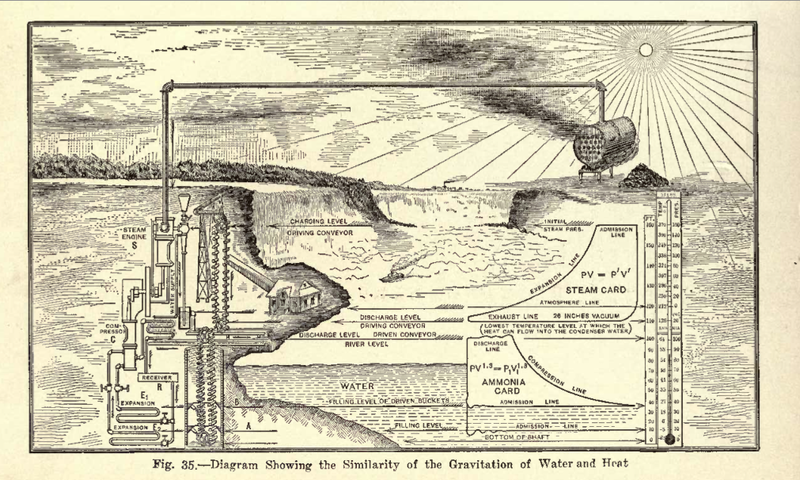 Take special note of the beautiful illustration below. 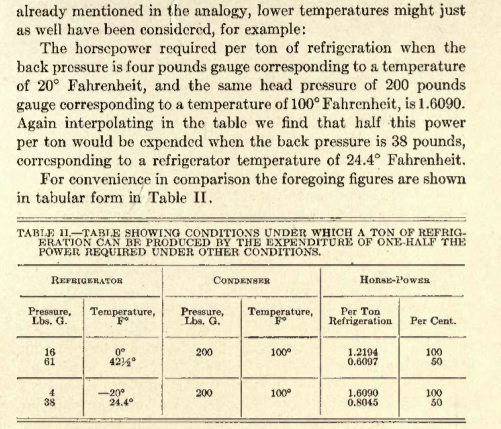 Clicking on it should provide a larger version. 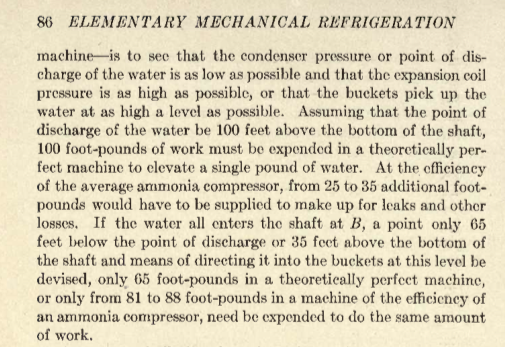 I’ve seen outlines comparing mechanical refrigeration to water pumps in the sense that they both require work to lift, pump or otherwise increase a potential, but never to the great painstaking detail as is laid out in the following pages. 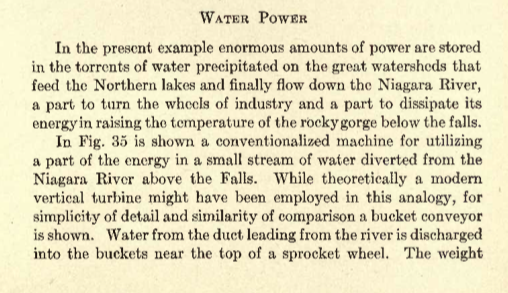 The book was short, but a joy to read. 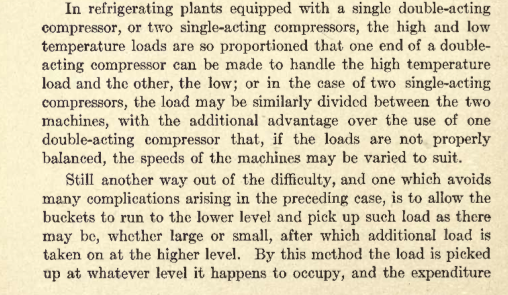 The whole thing was written in this very simple, straight forward language; gradually building on ideas throughout it’s pages.